Remembering The Fallen Video Game Heroes! It's a very special weekend so we have decided to reboot a popular weekly feature! We will publish a new feature in this series every Friday through the month of June! We hope you enjoy this WiiWareWave exclusive! I'll be playing the Mega Man Battle Network games on my Wii U this weekend and possibly Donkey Kong 64 as well. May give Paper Mario 64 some attention as well on Memorial Day! My husband and I will play Mario Kart 8 and Mario Party 10 on Saturday. I might also play Hyrule Warriors Sunday morning before my sweetheart comes home from work. A wild @H_Bogart32 has appeared like a ninja once again! I will stealthily play Mario Kart 8 and Super Smash Bros. online this weekend. I will never grow tired of these two amazing games! I will be finishing my playthrough of Fire Emblem so I can get started on my review of the game. 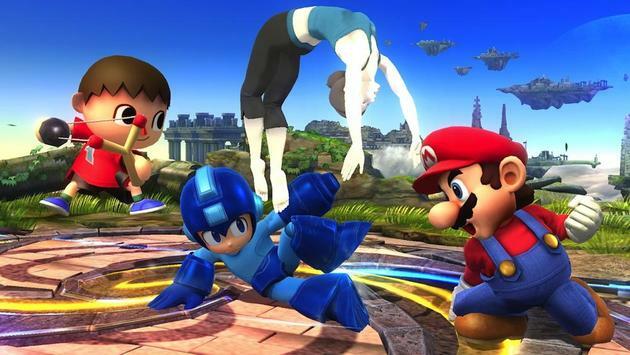 I may also play Super Smash Bros. for 3DS if I have some unexpected free time. Xenoblade Chronicles X for Wii U! I'm trying to review the game, but it is so lengthy it might take months to complete. I've already spent 85 hours with the game and I'm still on chapter 3 of 16! LET'S GET READY TO RRRRRRRUMBL- um...I mean...SMASH! With family coming over this weekend, my time will be a little limited, but I'll definitely put some time in a few games. I'll keep working on Trine: Enchanted Edition and New Super Mario Bros. on my Wii U (I never played either on their original systems), and I'll keep chipping away at Pokémon Shuffle and Pokémon Rumble World on my 3DS for a few minutes each day. If she's feeling up to it after folks leave, I may play some Mario Kart 8 or Mario Party 10 with my wife in the evenings, and I'll probably keep getting sucked back for "one more go" at Ultratron. And, of course, I'll be pushing aside my in-laws to get my hands on one final shot at the Splatoon demo. That's a lot of games, I know, but what better way to live? I will play Xenoblade Chronicles this weekend. I'll try to ★★★ every grand prix in Mario Kart 8 as well. That's all for this holiday weekend's volume and as always be sure to tell us what you plan on playing this weekend in our comments below! I will play Fire Emblem Awakening this weekend. @TikiFireEmblem Good choice! If I'm lucky, I may have an opportunity this weekend to get ahold of Fire Emblem: Path of Radiance again for a (relatively) good price. I was so upset when my copy went up in flames and more upset to find out what it's selling for online. It's my favorite, though, so I'm determined to get it again and make sure my daughter has the opportunity to play it, too. Aura Kingdom and Mario Kart 8 lol. I'll play Mario Kart 8 this weekend! Aside from Super Smash Bros. for Nintendo 3DS (plus a little Kirby Triple Deluxe), I'll be too busy prepping the Mushroom Force reboot to play any games. That and I'm fighting a mild cold. Still, at least I'm doing something for WiiWareWave! I was going to play the testfire demo for Splatoon, but the servers immediately crashed. Someone should write an article about the Splatoon server situation.